Mark Zuckerberg is famous for something other than Facebook: his wardrobe. More specifically his love of hoodies and grey T-shirts. On Thursday, during a public Q&A, someone asked him why he always wears the same grey T-shirt. In truth, he doesn’t. He’s got a few that all look the same and he always wears them just to have one less “frivolous” decision to make every day — what to wear — he says. So it’s a rare event to see him all dressed up, much less in a suit. 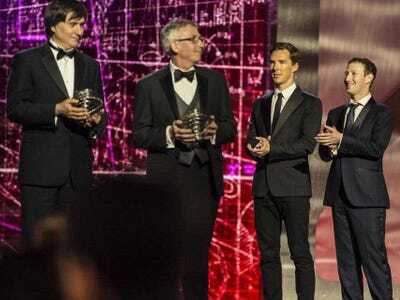 But on Sunday, flanked by actor Benedict Cumberbatch, Zuck was on hand to present the awards for the the Breakthrough Prize, an annual $US33 million jackpot awarded to a dozen top scientists, sponsored by Facebook. 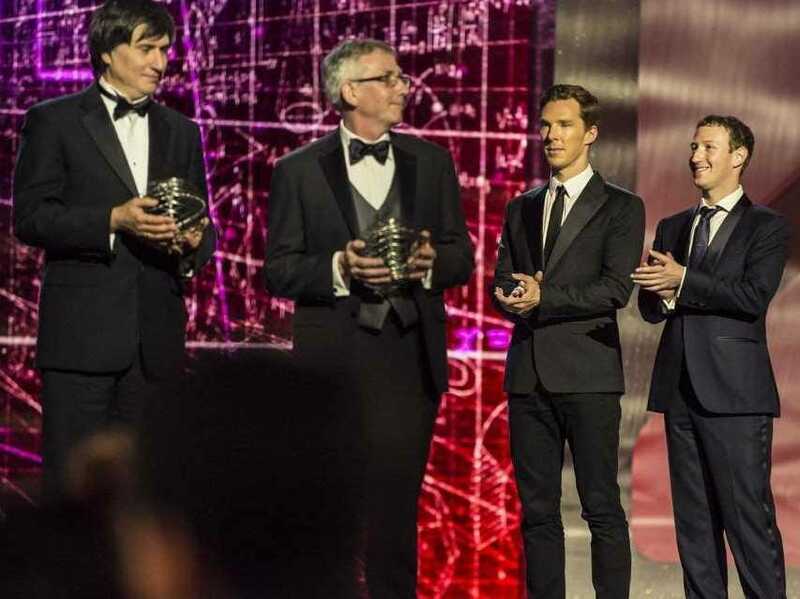 Besides Cumberbatch, the two other men in the photo are two of the maths prize winners, Simon Donaldson and Maxim Kontsevich, Zuck said in his Facebook post about the event. The awards ceremony is supposed to associate STEM vocations with glamour like a Hollywood ball. So it was a black-tie affair. Zuck didn’t go quite that far. He’s wearing a straight tie. But that is definitely a suit.